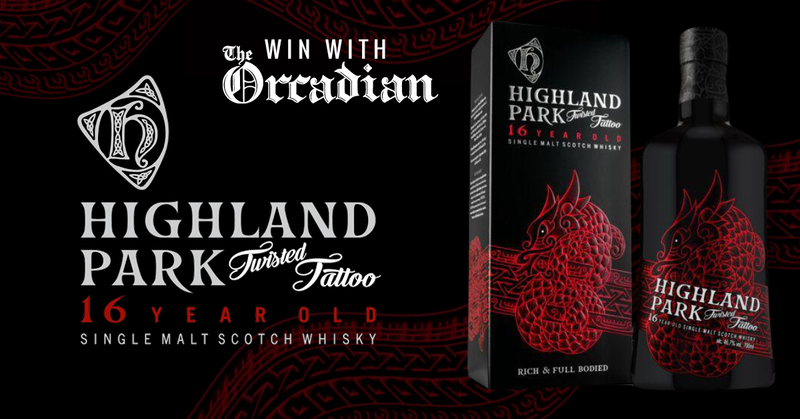 ADVERTORIAL: Highland Park has launched a 16-year-old, single malt whisky, Twisted Tattoo. The latest product from the distillery is inspired by Orkney’s Norse ancestry and the Viking legend of the Midgard Serpent, which grew so large it twisted around the Earth to bite its own tail. The expression is the first time the distillery has created a single malt combining whisky matured in Rioja seasoned wine casks with first fill bourbon casks. For the first time, we’ve married whisky matured in oak casks seasoned with Spanish Rioja wine – 153 casks in total – with whisky matured in 70 first-fill bourbon casks. The result is TWISTED TATTOO 16 Year Old, a rich and full-bodied single malt whisky with a distinctively different. Twisted Tattoo is the replacement whisky to Highland Park Full Volume, released in September 2017. The whisky is available to purchase from www.highlandparkwhisky.com and specialist retailers.